Back by popular demand! The SnacPac Travel Set tucks into lunch box, backpack, or glove compartment for instant meal-time convenience. This unique design is so handy, it's patented! The SnacPac combines a spoon, stainless steel fork and knife, and salt and pepper shakers - all in one handy little package. 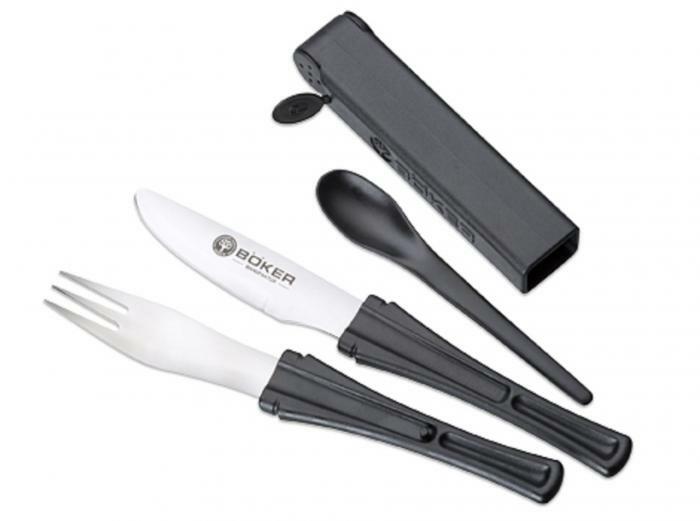 The durable ABS plastic case prevents the fork from poking through your lunch bag, and keeps the utensils clean. Completely dishwasher-safe, too! Ideal for camping, fishing, hiking, picnicking, travel, office, or a lunch on the go. 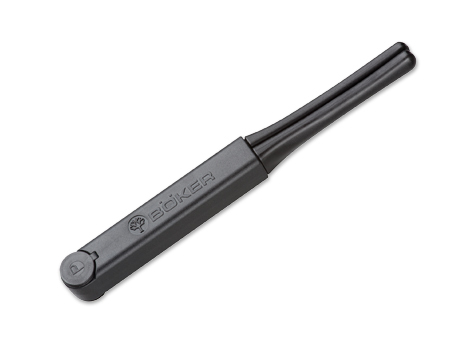 Overall length: 8 1/2". Weight: 3 oz.